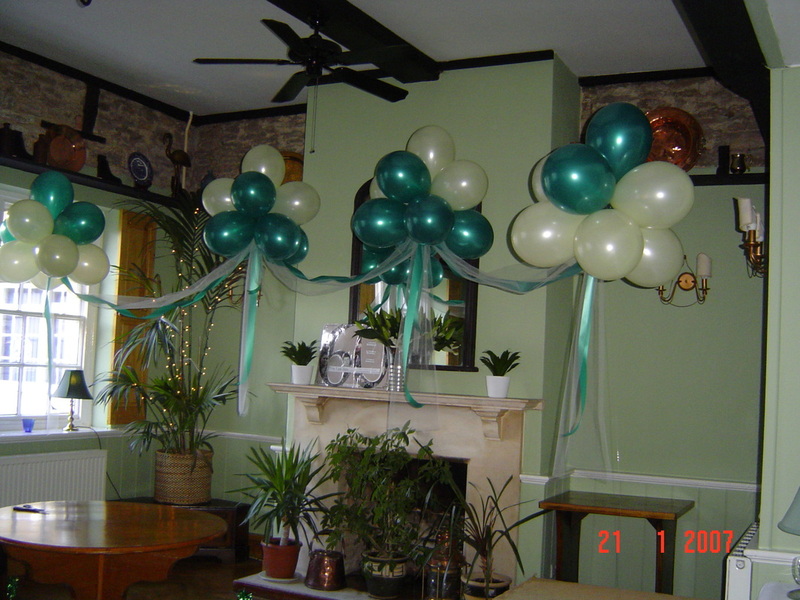 Party Balloons For All Occasions can create your own helium balloon 'cloud nine' at your celebration or party. 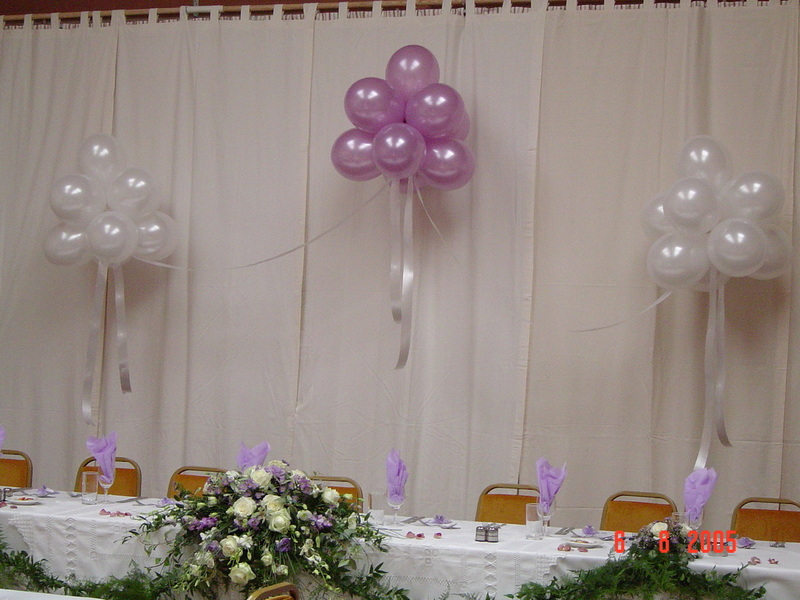 A 'cloud nine' (or 'cloud cluster') is a bunch of nine helium-filled balloons that floats high above (or behind) a table. 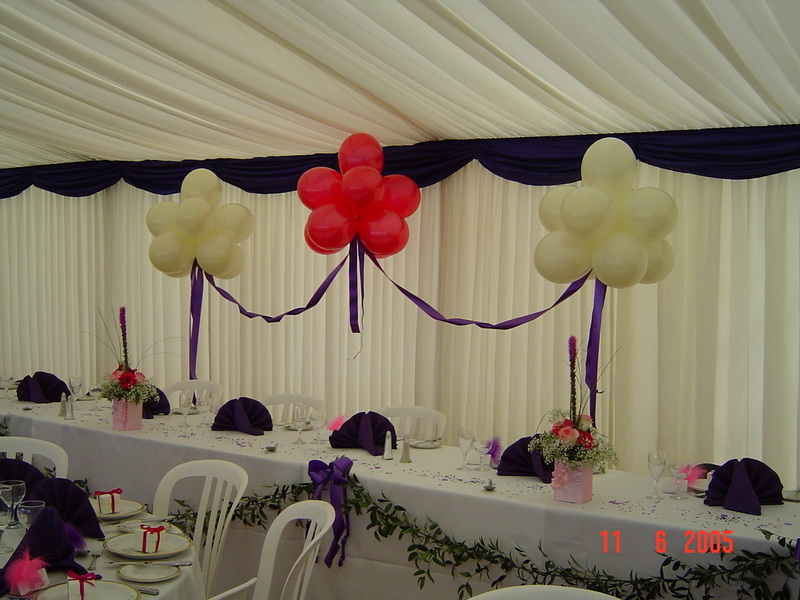 It can be designed in your own choice of colours, ribbons and tulle. 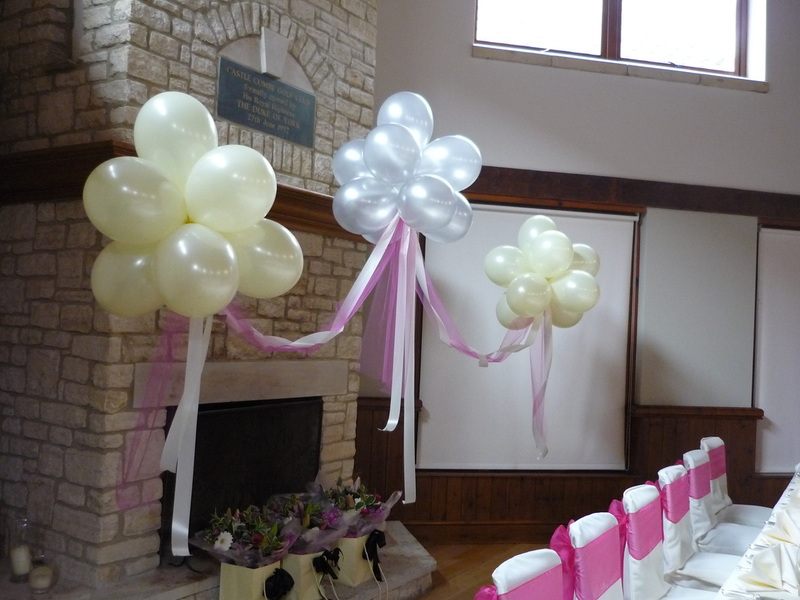 Three groups of clusters is the most popular but Party Balloons For All Occasions can make it as many clusters as you wish! 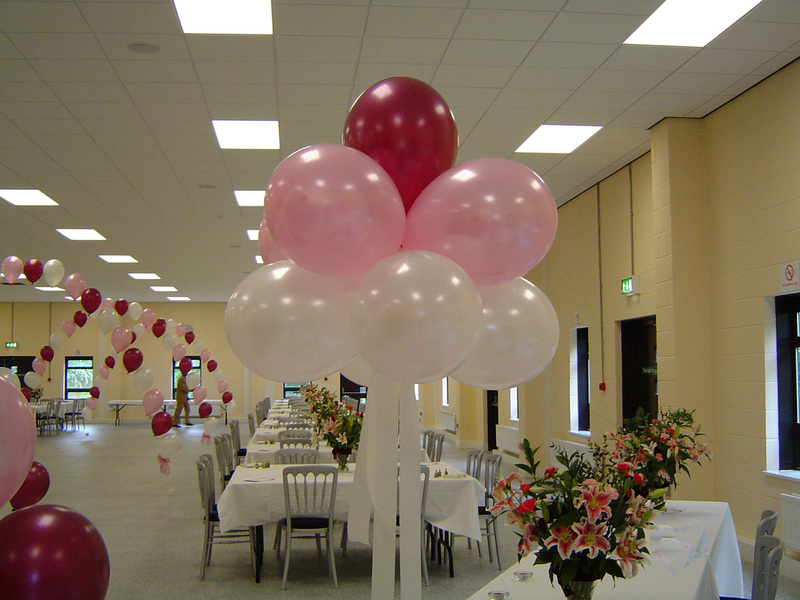 Larger helium balloons can be used with smaller balloons inside to add that individuality. 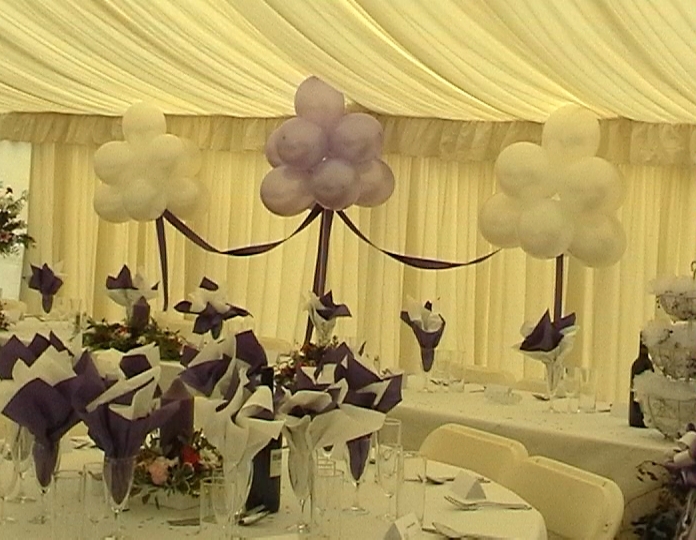 Cloud Nine in Lilac and White. 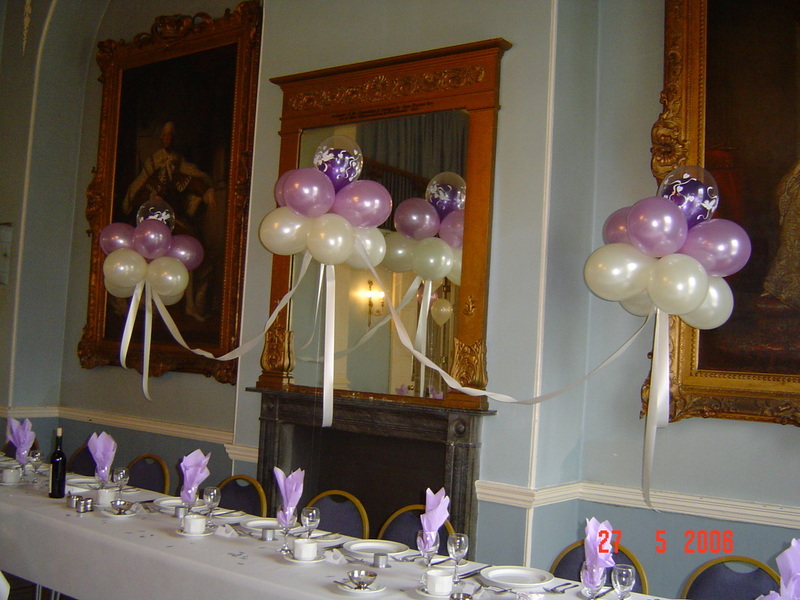 Cloud Nine in purple, lilac and ivory. Cloud Nine in Silver and Ivory. 1-Off Cloud Nine as Floor-standing Design. 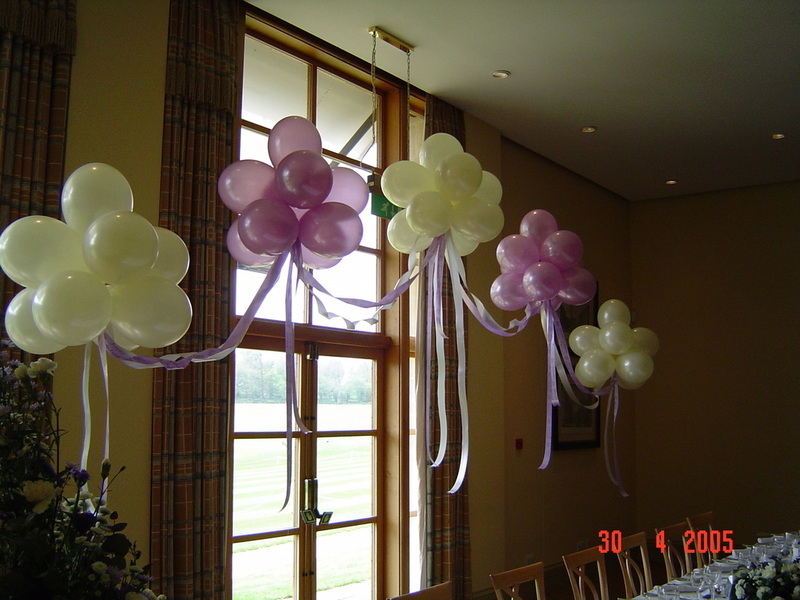 Cloud Nine in Lilac, Ivory with Purple Ribbons. 5-off Cloud Nine's for Longer 'Top Table'. Emerald and Ivory 4-Off Cloud Nine.